Basic recipes of baking soda, vinegar, and other natural household cleaners are great for many cleaning tasks in your home, and even your office. If you're interested in more we suggest reading, Green Clean: The Environmentally Sound Guide to Cleaning Your Home. P.S. The oven below was cleaned green (naturally)! We used baking soda, water, and some eco-logo certified dish soap. For a multi-purpose cleaning spray, simply mix white vinegar and water in a spray bottle. Don't like the smell? The vinegar smell fades as it dries. You can also add a few drops of essential oils to make it smell prettier. Essential Oils also boost cleaning power. They don't just smell good, essential oils can boost the cleaning power of the great basic cleaning recipes too. Use baking soda in place of commercial scouring powders. Shine your sink with it. Put an open box in your fridge to remove odours. You can also put some baking soda in a decorative container mixed with a few drops of essential oil for an air freshener. Did you know? You can use old newspapers for a lint-free, streak-free shine when cleaning your windows! The ink doesn't rub off on windows, but I wouldn't use newspapers on counters and other things, as the ink may leave marks. Add a sprayer to the top of a large bottle of 3% hydrogen peroxide (the beauty of standard bottle tops). It's best to keep it in the brown bottle because it's light sensitive. Fill an empty spray bottle with straight 5% white vinegar. Spray the item to be cleaned with one solution first and then follow right after with the second solution. It does not matter which solution is applied first. Allow the mix to sit on the surface for several minutes. IMPORTANT WARNING: Do not mix the vinegar and peroxide together in one bottle. As the solution sits it creates peracetic acid, which is caustic and corrosive! Words can be misleading. You need to be careful of this. That's why the commercial cleaning products we use are certified green by EcoLogo, and/or EPA Design For The Environment. As green cleaning is becoming more popular, more "green" cleaning products are becoming available. These certifications make your choice easier. Certified green products are becoming increasingly easy to find. Many products are "greenwashing", just to get people to buy them. We recommend you check out The Sins of Greenwashing to educate yourself on becoming a smarter consumer. Click here to play Name That Sin Game. Give yourself a break. 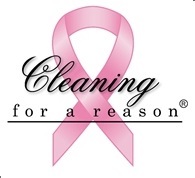 Contact Fresh Start Green Cleaning to do the cleaning for you. P.S. The carpet below was cleaned green (naturally!). We used Prism Environmental's Eco-Logo certified Enzymatic Cleaner.